Reader Miramon made an interesting comment on my last post, raising some issues that I think are important to address, both for their own sake, and because it will allow me to put forward some ideas that deserve exploration. There is a theoretical error here: looking at the Party that creates the society as if it had to be a model of the society it creates. At first glance, this is an attractive theory: how can a non-democratic party create a democratic society? In fact, the two have nothing to do with each other. In general, parliamentary democracy has been brought into being by force—revolutionary or military. The organs used for this process were anything but democratic. The party is not the society, it is the tool used by the working class to create the society. If the instrument of creation had to resemble the object created, every work of sculpture would look like a chisel. Once the Bolshevik Party determined its course, voting after a full discussion, those who disagreed with the decision were expected to go along with it, or to remain mute, or leave the Party (although, certainly, they could continue fighting for their position within the Party). What Lenin insisted on, and fought for at the Party Congress of 1903 in which the Bolsheviks and Mensheviks split, was a party that would function as a weapon in action, rather than a loose society of generally like-minded people. But… what were the Bolshevik objectives from 1917 to 1923? A workers state, and the prevention of a restoration of the monarchy or a Kornilovist fascist counter-revolution. The forces repressed by the Bolsheviks were those whose class interests were hostile to the working class, whether Black Hundred murderers, or the Mensheviks who were collaborating with Capital, or the Right Social-Revolutionaries who were attempting to assassinate leading Bolsheviks. Were the Bolsheviks too harsh in their suppression of the enemies of the working class within those first years? I would say just the reverse: if they can be held culpable, it was for excessive misplaced kindness: how many Czarist nobles and generals were released in the early days of the revolution, who then went on to fund, organize, and lead the Civil War against the workers’ state? Is it possible that members of the Cheka abused their power to settle personal scores? Absolutely. But let us remember that anyone caught doing so would have been immediately sent before a workers tribunal; even his enemies spoke of Dzerzhinsky as incorruptible. Yes, revolutionary force can be abused; but it also contains its own method of limiting and correcting the abuse—up to the point where the revolutionary masses are no longer in control of their own destiny. The question then becomes how and why the revolutionary masses lost that control, which goes back to what I addressed in the previous post. In fact, I believe that is the only way to found such a state—or, indeed, any state that represents a new class coming to power. One of the contradictions in our world is that we want to live in a society of peace, of freedom, of equality; but the only way to achieve that involves violence and revolution and the class struggle. But this is not unique to proletarian revolution. Every advance in social form has been accomplished by violence and terror (to be sure, rarely using the word terror) or by war. From the first bourgeois revolution, which ended with Cromwell’s dictatorship, to the American Revolution, which at once turned into a bloody war and which (American myths to the contrary) was accompanied by extreme repression of “Loyalists,” to the Great French Revolution and the “Reign of Terror,” to the bloody and seemingly endless wars in which the German states failed to unify until the late 19th Century, to the string of uprisings in 1848 in which national bourgeoisies tried, with greater or lesser success, to win their independence, capitalism has accomplished its mission of creating parliamentary democracy through violence, terror, and repression. How could it be otherwise, without convincing the old order of kings and nobles to go quietly into that good night, which no ruling class has ever done if it still had any chance of fighting? Underneath these arguments, notwithstanding the statement that “I grant that the USSR was under many forms of attack during the early years and so some harsh measures were necessary to preserve the state,” is a sort of idealized picture of revolution that has nothing to do with reality, as if the insurrection occurs on January 1st and you wish for complete freedom, full democracy, and all human rights restored on January 2nd. This, of course, could be accomplished if there were no danger of counter-revolution; but if there were no danger of counter-revolution, the revolution itself would be unnecessary. So, how long do you continue measures of repression? The answer is provided for us by every bourgeois state in history: As long as needed to secure power for the new ruling class, and no longer. When can a state reduce its police forces, surveillance systems, and prisons, and permit greater liberty? In the case of the Soviet Union, surrounded by enemies for its entire existence, the answer was: never. Finally, Miramon brings up the question of Trotsky’s attitude toward Dzerzhinsky. Rather than taking up more blog post, those of you interested in the question may want to read this. How does Canada come into your insistence it takes war to achieve democratic institutions? What violence did Ghandi use to free India from British rule? I’m probably missing something. I don’t know all the history. But I don’t think it needs to be a given that it takes violence to achieve change. Here in the US, if you wished to institute a worker’s rebellion, you don’t need violence. You need enough people to agree with you and then vote with you. And if you can’t achieve that, then it would be a morally bankrupt position to force your beliefs through violence. Good questions, Joseph. The answer regarding India is simple enough, the one regarding Canada more difficult. The essence of the matter in India is that the effort was not to replace one ruling class with another, but rather, to replace capitalist rulers in one country with those of another. India was brought into the capitalist world by force, by Britain; hence the creation of a capitalist state had already been accomplished. As for Canada, well, I wish you’d asked me that six months from now. 🙂 I’m just now starting to get a little more serious about my study of the American Revolution, and I’m sure I’ll be in a better position to answer that question after I’ve done some work. But even with what I’ve learned so far, one thing that stands out is that the separation of “Canada” and “The American Colonies” that we Americans tend to make in our heads had nothing to do with the pre-1776 realities. They were all colonies, all effected by the American Revolution. Is it possible that the independence of the Canadian provinces came about as a consequence, not of their own struggles, but as a result of the collapse of the British Empire, including war with France and the breaking away of the 13 colonies? I don’t know. Check back with me in a while. Your comments on violence here indicate lack of knowledge in several areas, starting with the US Constitution, which was particularly and consciously designed to make it illegal, even through elections, to take someone’s property without going through the courts. The results of an election, or decisions by the those elected, to expropriate the capitalists would be met by force, according to law. More significantly, you speak as if the democratic forms that the capitalist class has put in place for better running of their country are more basic and fundamental than their class rule. This turns out not to be the case. If they have a choice between giving up democracy and giving up their control, they will give up democracy. Every time. That is exactly what fascism is. Need I point out that greater and greater sections of the ruling class are, even now, starting to think that is necessary? Koch brother. Donald Trump. Also, you speak of “violence” as if it were a bunch of people getting together and saying, “Hey, I know, let’s make a revolution!” It doesn’t work that way. Question: Do working people have a right to peacefully assemble and demand better conditions? Do they have the right to defend themselves when, upon doing so, they are met with State violence? The State violence, in the US, is peremptory. It has already begun. The United States is in the midst of creating a reign of terror against its own citizens, beginning with the poorest, and especially American Indians, blacks, and Latinos. At what point do we get to defend ourselves? Or do you believe it is all right for the State to commit violence, and those attacked have a duty to peacefully submit and let themselves be shot down? Revolution is the product of defense against the violence of the State. Thanks very much for your lengthy reply to my post. First of all the revolution came about through an alliance of multiple groups including Bolsheviks, other non-Menshevik leftists, anarchists and others. Obviously all the non-party-members were excluded from useful participation in crafting and deciding those orders. Secondly, in an environment in which anyone opposed to the orders is at risk of summary execution by the bloodyhanded enthusiasts of the Cheka, even a loyal Bolshevik who happens to disagree with the party line cannot feel they have any hand in crafting and deciding on the orders. Because if they speak up in council they may be ostracized or killed. So IMO the actual result was a core group of powerful people deciding life and death policies that the rest could not oppose for fear of summary execution. Any attempt to gather opposition was looked on as treason. Obviously this is contrary to any sort of democratic approach to policy-setting or planning. 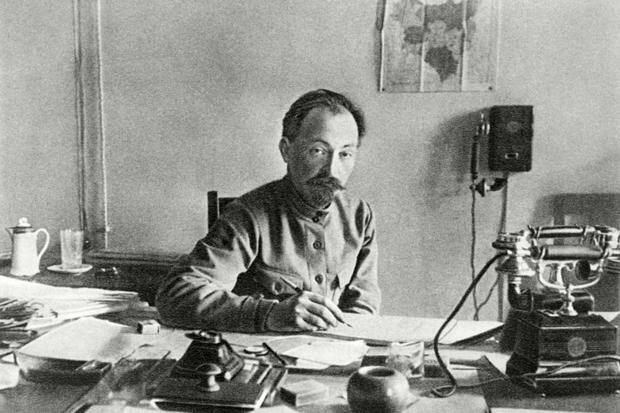 I continue to believe that Dzerzhinsky committed monstrous crimes under Lenin’s authority, and that his policies of casual non-judicial murder of suspects and mass extermination of enemies made it easy for Stalin’s to corrupt and destroy what meager fabric of law and honor remained in the soviet system after the transition from Lenin and the consequent elimination of those remaining Bolsheviks who had any integrity whatsoever. As noted in the bolshevik.org article, towards the end of his life, FED may well have had second thoughts and wished to retreat from his own policy of terror; but having put in place that policy and having harshly trained both his own Chekists and the bloody-minded leaders of the early red army to a state of absolute intolerance of objectors, it’s not surprising he was unable to do so. I blame him for the consequences more than anyone else apart from Stalin himself. If I was a member of the party at that time, I would rather have seen it destroyed and returned to the horrors of the Tsarist regime than implement this policy. What this directive plainly means is “if you are in the security service, you have carte-blanche to kill anyone you like”. In wartime in a combat zone at least a military tribunal is required to determine whether someone is a spy or not, and outside of the combat zone a full conventional court with attorneys appointed for the defense must be convened to decide any such case. Anything less is not defense of the state; it’s corruption of the state by drowning it in a sea of blood. It is also rather sad to bring up the American revolution. The American revolution was certainly accompanied by oppression of loyalists, but nothing like the slaughter that took place in the Russian revolution. I imagine just that one mass-execution mentioned in the bolshevik.org article killed ten times more loyalists than the total killed in America, and moreover those killed in America were not killed on government orders. Moreover, however bourgeois the American revolution may have been, the various continental congresses and the subsequent legislature could debate their differing policies and plans without fear of execution, and multiple opposing political parties came into being almost immediately with the creation of the first federal government. No one can hold up the American system as a paragon after the protracted horror of slavery and the other terrible forms of oppression which it has subjected people to over the last 240 years or so; but even so it is clearly superior in terms of democracy to the USSR, which first marginalized and then exterminated all political opposition. Lovely old photo. Those were the high-tech tools of oppression at the time. A side note to one thing you mentioned – I have noticed lots of people who appear to believe in a party platform despite the fact that none of the people who created that platform were in full agreement with it. It was created with compromise and lots of arguing. But loyalty to the party, as with loyalty to the king or the bishop should be unquestioned.